Hillary Clinton: With Trump as My Opponent, “We Could Win Texas"
In a new interview, presumptive Democratic nominee Hillary Clinton posed a wild notion: She can carry Texas in the fall. WASHINGTON - Presumptive Democratic nominee Hillary Clinton posed a wild notion in a new interview: She could carry Texas in the fall. “Texas!” she exclaimed, eyes wide, as if daring me to question this, which I did. “You are not going to win Texas,” I said. She smiled, undaunted. “If black and Latino voters come out and vote, we could win Texas,” she told me firmly, practically licking her lips. While a long-coveted prize for Democrats, few political players in Texas see a path for the Democrats to carry the state in this general election. Two years ago, the state's Democrats had a similar strategy to Clinton's in hoping that Wendy Davis could draw more minorities to the polls in a high-profile bid for governor. She ultimately lost to Republican Greg Abbott by 20 points. Still, Trump's unconventional candidacy has re-set the electoral map, with political strategists debating which states are - and are not - newly competitive. Some argue that Trump could possibly challenge Clinton in Rust Belt states that Democrats have recently carried with ease, while motivating a backlash in minority turnout in Southern and Western states. The thinking is that if Clinton can expand the map, her best offensive opportunities will likely be in Arizona and Georgia. Both are conservative states, but each has strong minority populations that could be motivated to turn out against Trump. But Clinton has long had a soft spot for the Lone Star State. One of her first jobs was a Democratic operative was to register South Texas Hispanics to vote for 1972 nominee George McGovern. 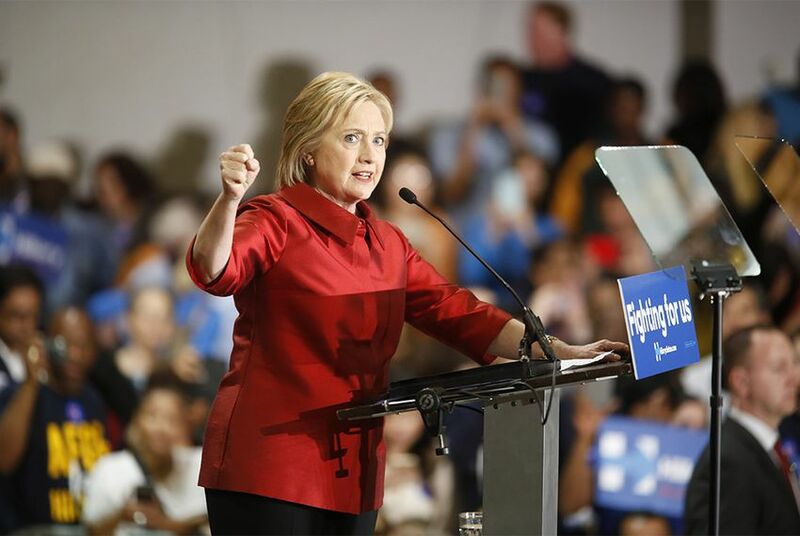 In her later career, the state was a positive turning point for her in both the 2008 and 2016 Democratic presidential nomination fights. Clinton has also not been shy about suggesting that she might pick former San Antonio Mayor (and current Obama Cabinet member) Julían Castro as a running mate, eliciting excitement in Texas Democratic circles. But Castro is one of many in consideration for the post. The reality for Clinton is that her Texas general election outlook remains grim, even if Trump's incendiary statements about Hispanics and African Americans might boost turnout against him in the state's metropolitan areas. In 2012, Republican Mitt Romney defeated President Obama by a 16 point margin. U.S. Sen. John McCain defeated Obama by an 11 point margin in 2008. Stranger things have happened in American politics, but Texas is still deeply conservative and prohibitively expensive to compete in. What separates Texas most from states like Georgia and Arizona is the sheer cost and geographic demand on campaigning in the state. The state is home to four of the most expensive media markets in the country. The last Democrat to seriously compete in Texas was Bill Clinton in 1992 and 1996. But he had an ally: third-party candidate Ross Perot pulled votes away from the Republican nominees. Such a scenario could possibly come to pass for Hillary Clinton. Many Texas Republicans are unenthused with Trump, and they might rally behind Libertarian nominee Gary Johnson or another candidate who might mount a third party run. Yet the deadline for an Independent to land a spot on the Texas ballot has already passed, but there is still the possibility of a write-in presidential campaign.